Still, much of the anti-Beck backlash (He's an extremist! He's paranoid! He's hate-filled!) from the left is hard to take seriously. First, this is a crowd that lets Michael Moore and Janeane Garofalo speak for them, and that celebrated the election of unfunny man Al Franken to the Senate. If you think it's racist to oppose Obama's health care reform efforts, it goes without saying that you'll think Beck is an extremist. This is what liberals always say about popular right-wingers, including Barry Goldwater, Ronald Reagan and William F. Buckley. For over 20 years liberals, including Presidents Clinton and Obama, have insisted that Rush Limbaugh is everything from an unpatriotic hatemonger to an enabler of domestic terrorism. It makes sense that they'd give Beck the same business. 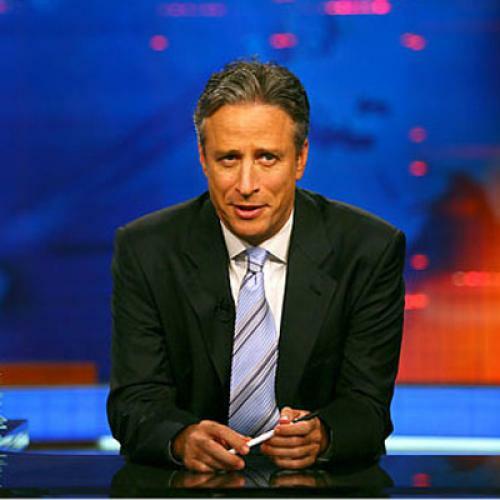 Or consider Jon Stewart, … Stewart's M.O. is to launch lightning attacks as a left-wing pundit and then quickly retreat to his haven across the border in Comedystan, but Beck must be pelted from the public stage for blurring the line between theater and punditry? Really? There are two enormous problems with this analogy. First is that the comparisons are absurd. Michael Moore is a demagogue and somewhat of a conspiracy theorist. I have no idea what Janeane Garofalo’s politics are. Al Franken is a mainstream liberal policy wonk who likes the Democratic Leadership Council. Jon Stewart is a moderate liberal satirist. Glenn Beck constantly accuses President Obama of imposing totalitarianism. (To take just one example, he suggested that Obama was using FEMA to build detention camps to hold political dissidents.) The accusation against Beck isn’t that he makes jokes. It’s that he’s insane and/or employing lies to foment paranoia. Second, even if the comparisons were perfectly apt, Goldberg is using the accusation of hypocrisy to avoid taking a position of his own. What do I think of Glenn Beck? Well, the other side does it, so there! I’m all in favor of uncovering hypocrisy as a tool of exposing bad faith arguments. But using the accusation of hypocrisy to avoid any moral reckoning is just a dodge.